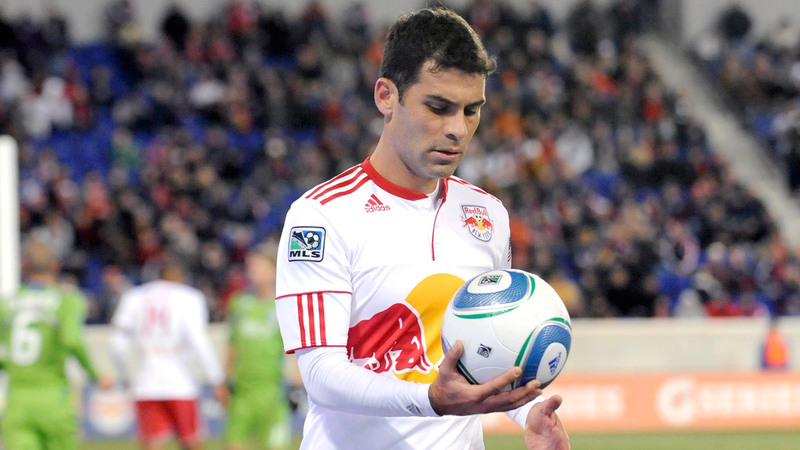 Mexico legend Rafa Marquez is hoping to end his career on a positive note at the World Cup, but he said one chapter that doesn't hold fond memories is his stint in MLS with the New York Red Bulls. Marquez spent seven years at Barcelona before signing for the Red Bulls in 2010 in a major transfer for the league, but the 39-year-old said he doesn't believe it was the right move in hindsight. "When I left Barcelona I became frustrated in New York because I was used to a standard and requirement, a high level of training and intense games" Marquez said in an interview with ESPN. "Coming to a different standard, I was honestly out of place. I couldn't do it." "In that moment I did regret going to the United States," he added. Marquez put an end to his stint in MLS in December 2012 to join Leon and was widely thought to be in the final stage of his career, but the defender won back-to-back Liga MX titles in the 2013 Apertura and 2014 Clausura. "When I arrived in Leon, they said that I was ready to retire, but I really enjoyed my career again there after the bitterness of going to MLS, where I didn't adapt to New York," said Marquez. "In Leon, I bounced back, I got back the joy of being able to play football." After the 2014 World Cup, Marquez moved to Italy to sign for Hellas Verona, before rejoining his first club, Atlas, ahead of the 2016 Clausura. The Michoacan native had been on course to play in a fifth World Cup in Russia, but that was put into doubt when Marquez was sanctioned last August for an alleged connection to a drug trafficking organization. Marquez immediately stopped playing to deal with the issue, but returned to the field on Oct. 29 and is still hoping that he could feature in Russia, despite not having played for Mexico since the allegations. However, the player is still unsure of whether he will be allowed to play for El Tri. "You have to ask that question to the administrative part [of the Mexican federation] because I believe that the sporting side has already replied to it," said Marquez, stressing that his "big dream" is to end his career at the World Cup. Atlas president Gustavo Guzman said on Monday that Marquez has an offer on the table to become a director of the club when he retires from playing. Mexican legend Rafa Marquez sits down with ESPN to discuss his lengthy career and the possibility of playing in a fifth World Cup before retiring.